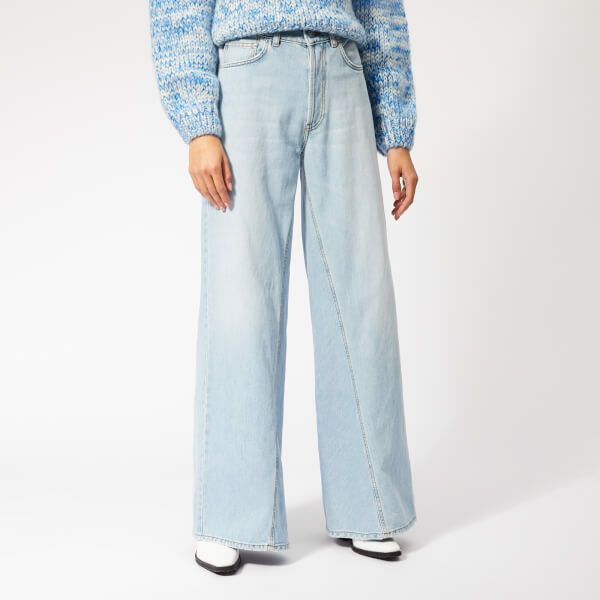 Ganni beautiful contemporary, yet effortless, easy-to-wear pieces which will add interest and of course style to your everyday wardrobe. I love the minimalist detailing and allowing the fabrics and cut to speak out on their designs – who can resist a simple white blouse with the most spectacular sleeves or the palazzo jeans to give your denim selection a chic make over. 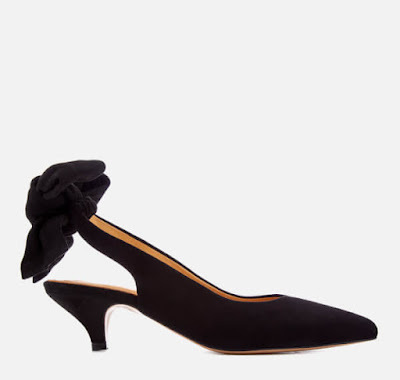 Sling back kitten heels in smooth black suede from Ganni. Handcrafted in Portugal, the ‘Sabine’ heels have a sling back design with an oversized bow on the heel, a pointed toe and a low kitten heel. The women’s heels are finished with a leather lining and a cushioned footbed for comfort. Pale pink shirt dress from Danish fashion label, Ganni. Cut from weightless, breathable cotton, the ‘Weston’ mini dress features a spread collar, a concealed buttoned placket and long sleeves with buttoned cuffs. Two large patch pockets add detail, while the relaxed silhouette and curved hem ensure a comfortable fit. A subtle diagonal floral print provides the finishing touch. 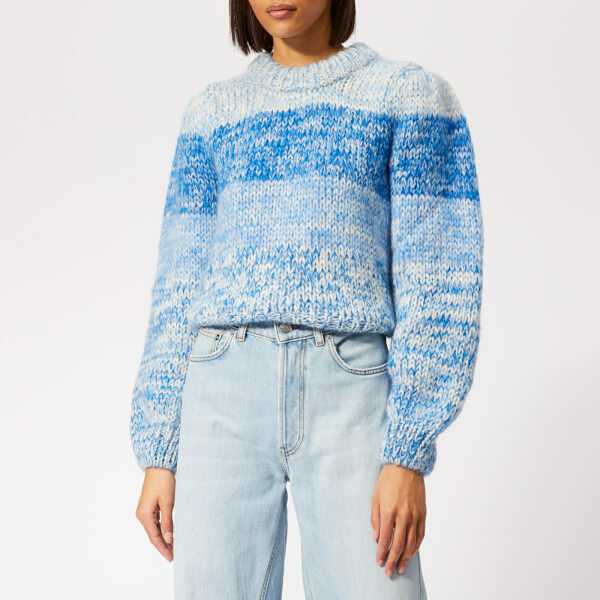 Exclusive hand-knitted pullover from Copenhagen-based fashion label Ganni. Handcrafted piece-by-piece over three days by local Italian women from the south of Tuscany, the unique jumper boasts a fitted silhouette constructed from a soft and warm wool-mohair blend. Accentuated with a monochromatic stripe pattern, the jumper features a wide, ribbed round neck and balloon sleeves. The ‘Olayan’ white shirt from Ganni puts a twist on the classic style staple. 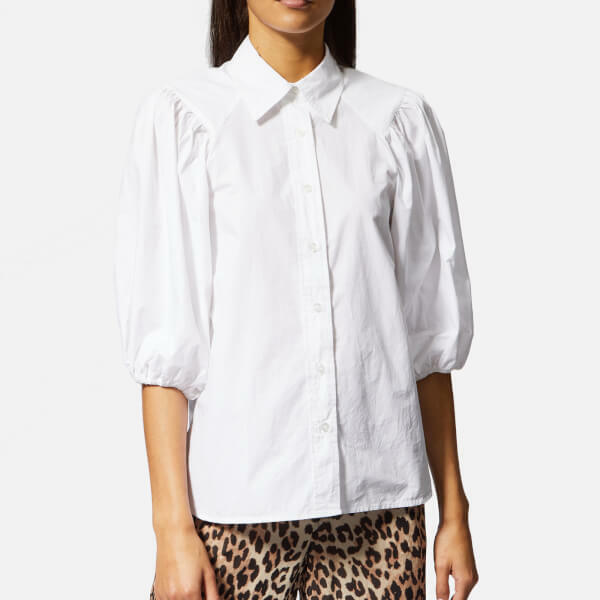 Cut from breathable cotton poplin, the blouse features the signature pointed collar and central buttoned placket but is elevated with ¾ length balloon sleeves. A curved hemline ensures an improved fit. 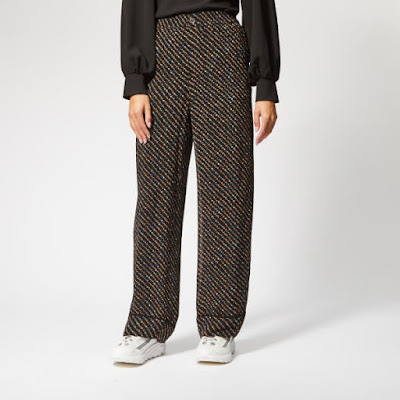 Leopard print blouse from Copenhagen-based label, Ganni. Crafted from sheer, lightweight Georgette fabric, the 'Mullin' showcases a pointed collar, a full button front placket and ruffle detailing. Features long sleeves with buttoned cuffs. A curved hem completes the design. Black silk Ganni dress with a Wild West-inspired design. The ‘Ackerly’ maxi dress references classic Americana with a wild horse jacquard woven into the fabric and a caramel colour block stripe on the flowing skirt. Fastened with a concealed back zip closure, the dress is finished with long sleeves and a turtle neck.